Spawn is slowly taking form! I’m building a huge wall around the whole spawn area, once completed there will be farms, animals, villagers and buttons which give goodies. The whole area is lid up so it should be monster free. As far as snapshot bugs go, not seen any show stoppers. Just cosmetics, I think the final release of 1.8 is imminent. 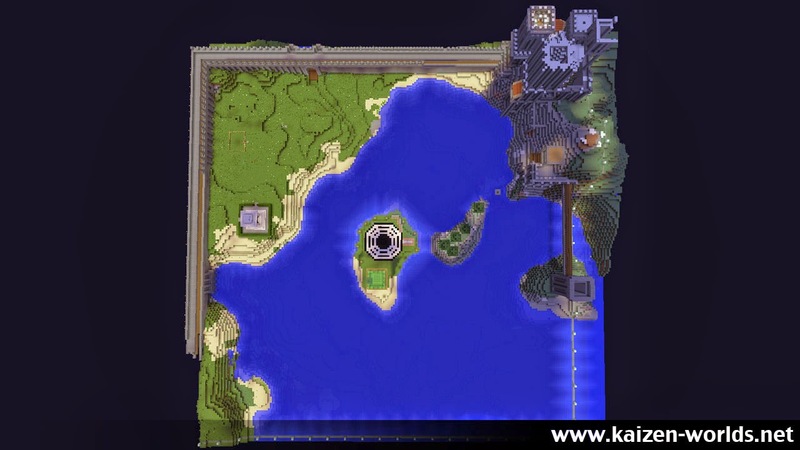 The wall with walking view area is shown top left, the spawn castle is taking shape top right, spawn point is right in the middle and the green grass part will be the shops and houses. Next Post: A water temple without water!